The holidays are around the corner. 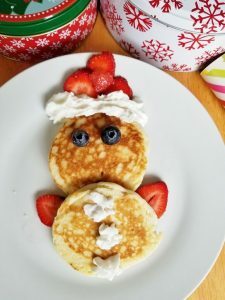 Here are some fun ideas on how to make Christmas Pancakes to get your family into the holiday spirit. 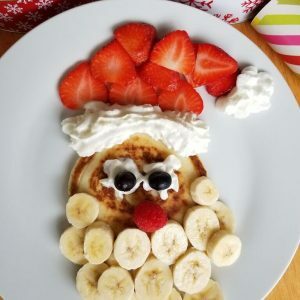 Cut up some fruits such as berries and bananas and decorate your plate with Christmas themed characters. All the extra fruit will increase your intake of vitamins and minerals. The holidays are around the corner. 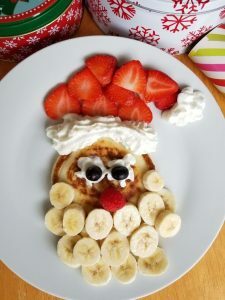 Here are some fun ideas on how to make Christmas Pancakes to get your family into the holiday spirit. Cut up some fruits such as berries and bananas and decorate your plate with Christmas themed characters. All the extra fruit will increase your intake of vitamins and minerals. Cook and prepare pancakes according to packaging instructions using the egg, milk, and butter. For Santa's hat start by using whipped cream for the rim on the top of the pancake. Use sliced strawberries to build the body of the hat and top with a dollop of whipped cream for the tip. For his beard, cut banana coins and arrange the bananas into a cone shape at the bottom edge of the pancake. 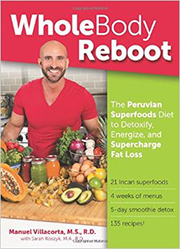 In the center, use blueberries for eyes and a raspberry for a bright red nose. 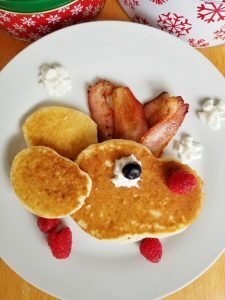 Make a large oval and two small oval pancakes for the head and ears. Tuck a part of the small pancake under the large pancake and lay the other on top. For the antlers, cook 2 strips of bacon. Fold them in half and tuck them under the large pancake. Use a small amount of whipped cream and a blueberry for the eye. Top with a raspberry for the nose. Make 2 pancakes similar in size. Lay them together with a small overlap. Use some whipped cream for the buttons and the rim of the hat. Use sliced strawberries for small arms and the cone of the hat. Top with blueberries for the eyes.